You may recall my review of Off the Stage Music’s Behind the Songs event in June. 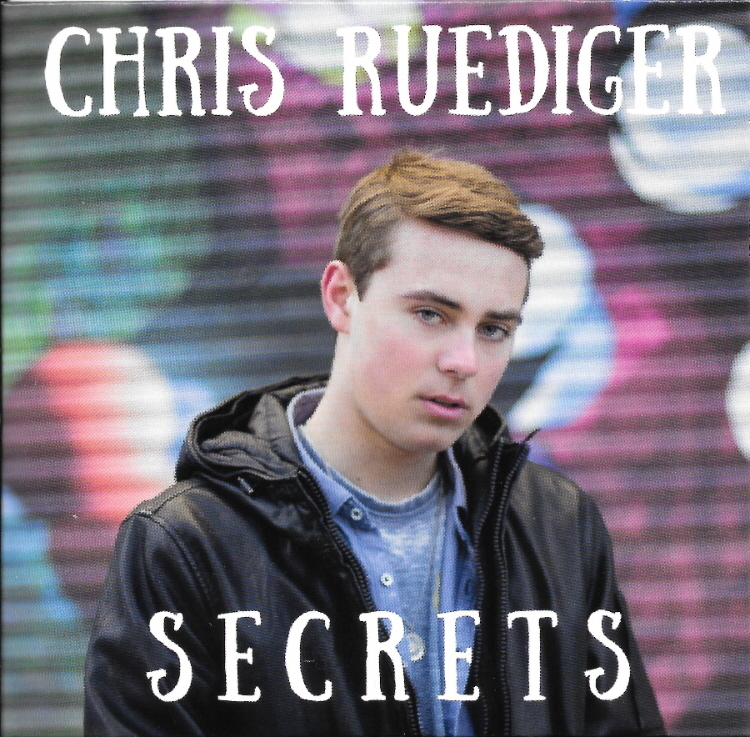 That was my first exposure to Chris Ruediger‘s music; it also served as Chris’ EP release event for Secrets. At the time, my response to some of the attendees at the event was, “Oh, my god. That thing in his voice!” You weren’t there, so you aren’t able to nod in agreement like the people I was speaking with did, but there’s a tuneful warble in Chris’ vocals that’s unique, original, the sort of distinctively identifiable vocal edge that can take a singer to the next level. The title track, “Secrets” has a smooth groove and always makes me think of a modern twist on The Young Rascals’ ’60s hit “Groovin’.” I like to think the two songs share a similar vibe, but it may just be a lyrical run early in the song that makes the connection for me. Still, “Secrets” has a distinct hotel lobby smooth jazz feeling to it. And you can hear Chris calmly smiling throughout this track. Yes, trust me, you can hear the toothy grin. “Forgive Me” adds a bit of edge to the smooth groove of its preceding song but combined with the pop-radio vibe found in “One Way Ticket.” This sounds like the mid-tempo cousin of the disc-opener and would fit easily into the same subgenre box. Toward the end of the song, as well, there’s a little surf-recalling electric guitar run; as such, a music video for “Forgive Me” might be well-designed to end at sunset on a beach. 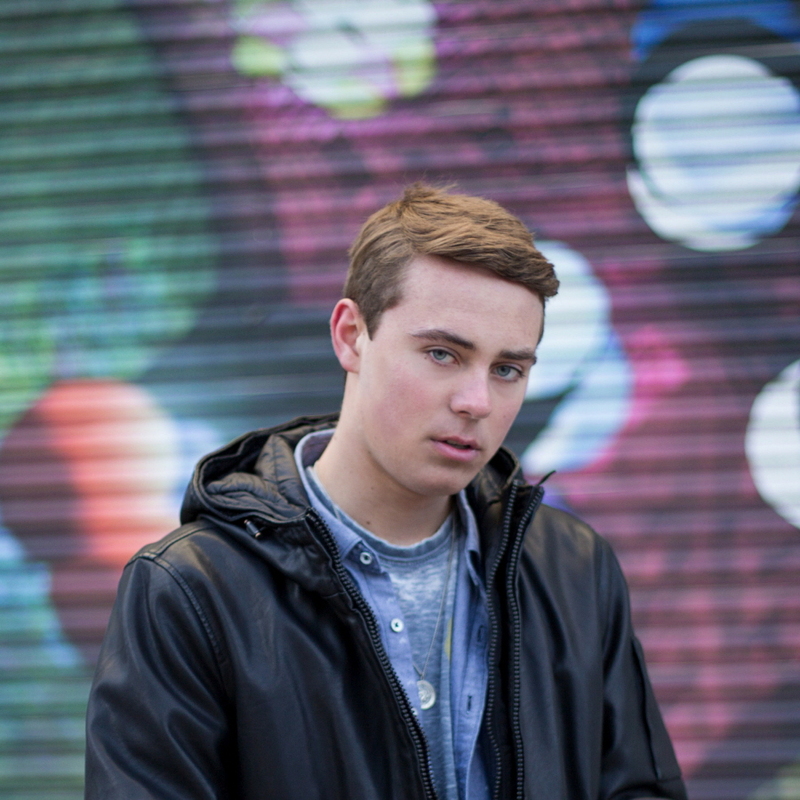 The final track, “Even If You Say No,” is an introspectively melancholy strummer. Considering the arc of the disc, this feels like a well-designed soft landing. There’s a touch of hopefulness in Chris’ voice, but not enough you can be entirely sure he believes it. It could just be that warble that makes Chris’ vocals sound sincere, but I’d say it isn’t. Indeed, this young man feels his lyrics deeply while he sings them, and he transfers that emotion to his audience. Aside from that emotional connection, one of my other favorite things about this EP – and you’ve seen me write this before because it’s a common thread among recordings that impress me – is the musical variety in this collection, all while being cohesively, easily identifiably Chris Ruediger. Keep an eye on the “Shows” tab of Chris’ website to see upcoming show dates. (There are currently none listed.) You can also keep tabs on Chris via Facebook, Twitter, and Instagram. This entry was posted in Album Reviews and tagged Album Review, Chris Ruediger, Geoff Wilbur. Bookmark the permalink.